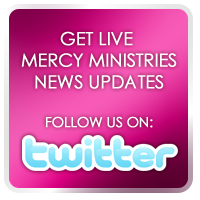 Mercy Ministries News: Pastor Penny Maxwell Keeps it Real!!! Penny and her husband, Troy, are the co-pastors of Freedom House Church in Charlotte, NC and personal friends of Mercy Founder and President, Nancy Alcorn. Penny is also in the process of writing a book about how God healed and transformed her life. The Maxwells and Freedom House Church have been amazing supporters of Mercy Ministries and we are so grateful for their partnership. We look forward to a future home in Charlotte, NC!